Email marketing books you a direct trip to the inbox of the eager traveler. Excite wanderlust with pictures and videos of exciting destinations. 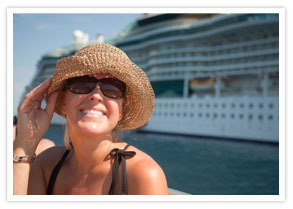 Motivate more bookings with instant news of great vacation deals. 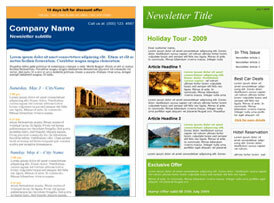 Establish yourself as the tourism expert when you send out professional newsletters filled with travel tips. A simple and easy to use Drag and Drop interface makes it easy to create professional content-rich messages in just a few minutes. Online Surveys show your clients why you're number one in hospitality. Email List Management provides trouble-free sign up forms that seamlessly integrate with your website, automatically adding contacts to your list.